View More In Gun & Ammunition Storage & Safes - Page 3. 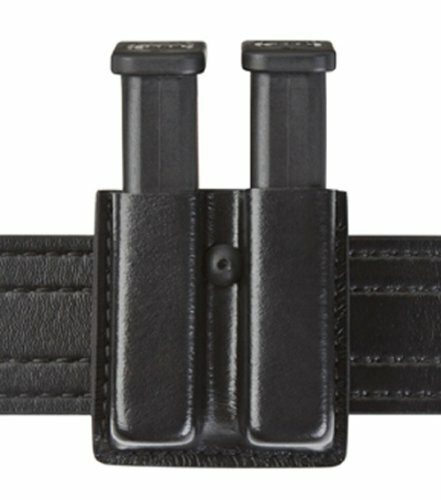 The Safariland Slimline Open Top Double Handgun Magazine Pouch is constructed from SafariLaminate a unique thermal laminate process. This material is impervious to moisture, bloodborne pathogens and does not break down like natural materials, making it an extremely durable and long term professional looking product. Available in Traditional Leather Look Finish, offered in Plain, Basketweave and Hi Gloss, and the STX Finish, helping to reduce weat and tear scratches on the product. If you have any questions about this product by Safariland Duty Gear, contact us by completing and submitting the form below. If you are looking for a specif part number, please include it with your message.